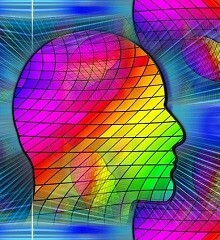 Welcome to my site blog at Memory-Improvement-Tips.com. Check below to see what's new on this website. From memory tips and free brain games to true stories of memory problems submitted by real visitors, I'm continually adding cool and useful content. To subscribe to this blog, click on the feed reader you use (RSS, Feedly, or My Yahoo!) in the box at left. I've added 50 free "special needs" word search puzzles to Memory-Improvement-Tips.com. These are printable puzzles in PDF format. 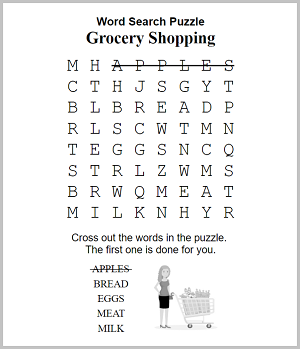 Word search puzzles are a common and fun type of brain game. But for a special needs child or adult, regular word searches are sometimes too difficult. To help fill the gap, I created a collection of simplified word searches that should be accessible to many individuals with cognitive challenges such as autism, Down's Syndrome, or traumatic brain injury. Rather than a large grid with many hidden words, the special needs word searches are 8 rows by 8 columns, with just 5 hidden words per puzzle. And the first word has been solved as an example. If you know someone who teaches a special needs class or have a friend or relative with cognitive issues, print out a few of these puzzles and pass them along if you think they would enjoy them. Continue reading "Free Printable Special Needs Word Searches"
I've added Jumper Frog as the latest free brain game on Memory-Improvement-Tips.com. This game is very similar to Frogger, the arcade classic. 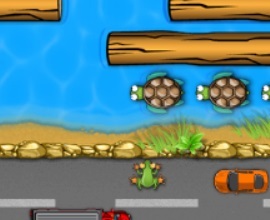 Jump your frogs safely across a busy road and a raging river! Concentration games like Jumper Frog train important brain skills including attention and mental reaction time. Continue reading "Jumper Frog - Free Brain Game"
OVERALL STATUS (9/20/18): The Flash-based brain games like Scrabble Sprint are still working. As of today, I was able to open them in the latest versions of Google Chrome, Firefox Quantum, Microsoft Edge, and Internet Explorer on PC. On a Mac, I was able to open them in Google Chrome but not in Safari. *GOOGLE CHROME (9/20/18): As of version 69 of Google Chrome, to play the Flash games you must re-allow the Adobe Flash player every time you close and re-open the browser. The "always allow" feature is gone. The screen image above shows how to quickly re-allow Adobe Flash for my site in Google Chrome. For more info on what's going on with Adobe Flash and online games, click the link below. 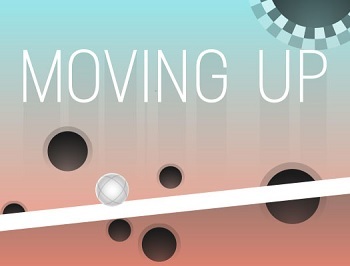 Continue reading "Flash Games Status Update"
Every notice your eyes drifting closed when you were trying hard to recall something? Turns out research confirms this really does help you remember. 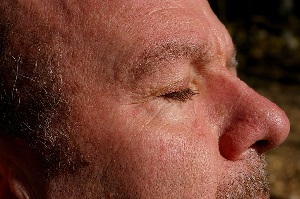 Closing your eyes shuts out distractions and frees up brain resources. In many cases, this can help you access a hard-to-recall memory. So the next time you need to jog your memory, close your eyes for a moment, and then try to remember. The simplest memory tricks are often the best. For more information on this memory tip, check out my article on this topic by clicking the link below. 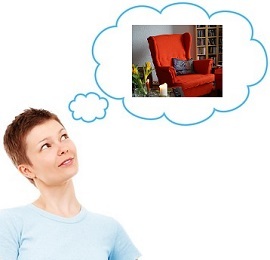 Continue reading "Trouble Remembering? Try Closing Your Eyes"
Gweneviere Mann, who underwent surgery for a benign brain tumor in 2008 and shared her story here in 2010, has passed away at 47. Gwen was an inspiration to all who knew her. Despite suffering memory loss and other negative effects from her brain surgery, Gwen managed to keep a positive, courageous attitude through the challenges she faced. Even more remarkably, she never failed to provide encouragement and supportive advice to others going through similar circumstances. Gwen refused to allow the side-effects of her surgery to stop her from helping others and living a full life. She will be sorely missed. Read Gwen's original post by clicking the link below. If you wish, feel free to leave a comment at the bottom of her post. Continue reading "Gweneviere Mann Passes Away at 47"
Smokers beware: Not only does smoking cause cancer, it can also cause Alzheimer's dementia. In fact, smoking boosts your risk of dementia by a whopping 45%! As a former smoker myself, I sympathize with anyone who has trouble quitting. But I did quit, and I believe you can too. I've been free of cigarettes for over 20 years. To help you quit, I've described my own simple trick for quitting smoking. Maybe my method could work for you. Check out my article on this topic by clicking the link below. Continue reading "Smoking Increases Risk of Dementia"
This is a true story about life after epilepsy and two brain surgeries, submitted by a visitor named Pam. Prior to 2009, Pam was struggling with epilepsy. The cause was found to be malformed blood vessels in a portion of her brain. Two brain surgeries later, that part of her brain has healed. Unfortunately, she now has memory loss due to the brain surgery. The wonderful part of Pam's story is her optimistic outlook. Even though she's suffered through very difficult challenges from these surgeries, Pam still is able to look on the bright side of things. I encourage you to read Pam's full story. Click the link below to visit her story page. Feel free to add supportive comments and thoughts by posting in the Comments section at the bottom of her story. Continue reading "Memory Loss from 2 Brain Surgeries"
I've added Waffle Anagrams as the latest free brain game on Memory-Improvement-Tips.com. 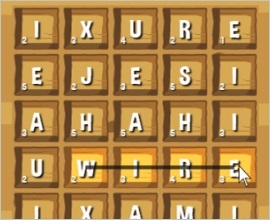 Connect the random letter tiles in the grid to form as many words as you can in two minutes. Similar to the Bookworm game, each letter tile has a point value. The longer the words you make, and the higher the tile values, the more points you'll get! Word games like Waffle train important brain skills including memory, verbal fluency, and information processing. Continue reading "Waffle Anagrams - Free Online Brain Game"
I've added an entirely new type of game category to my site. HTML5 games! Why is this exciting, you ask? Well, Flash-based games are on the decline. It's hard to get them to run in some browsers. HTML5-based games run in any browser and are the wave of the future. HTML5 is a game format that does not require any browser plug-in to run. These games don't need the Adobe Flash Player plug-in, for example. Also, these games work great on mobile devices including tablets and even phones. That's not the case with Flash-based games. Check out the new HTML5 games when you have a chance. They should run in your browser right away and without the need to install any plug-ins. You can find a link to the HTML5 games section in the right column of every page. It's also in the FREE BRAIN GAMES pull-down menu at the top of the site. I'll be adding many more HTML5-based brain games in the future. Enjoy! Continue reading "New HTML5-Based Brain Games"
If you have trouble concentrating while you work or study, check out this post by guest author Dana Jandhyala. These styles of music can help you pay attention during any task that requires concentration, not only school studies. For example, depending on the type of work you do, you might be able to use this tip at your job. Give it a try, and you may find yourself able to stay more focused! 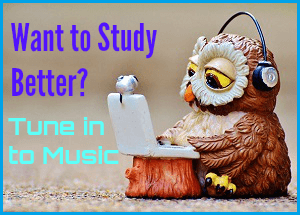 Continue reading "Struggling to Study Better? Tune in to Music!" I have finished updating the game links on Memory-Improvement-Tips.com. The free brain games should all open normally now. As previously mentioned, I've been updating the code on my site to improve how the games display. This project is now done. Many of you will be glad to hear I have restored the "Play" links (Small, Medium, and Large) for each game. I've also added a new PLAY GAME button. You can open the games using whichever method you prefer and that works for your browser. The links and the button open the same game. If you have any problems opening the games, please see my How to Open the Games page, the Game Troubleshooting page, or feel free to send a message to me for assistance if you wish. Hi Everyone. As you may have noticed, the game links on my site have been changing. The old Small, Medium, and Large links have disappeared. You may now see a Play Game link and a PLAY GAME button. However, this is a temporary situation. I am working on putting back the Small, Medium, and Large links. I'll keep the new PLAY GAME button, too, for those who prefer to use that. I had to take down the Small, Medium, and Large links due to technical issues. It will take me several days to put them all back the way they were. If you'd like to see what this update will look like when done, please see the Majhong Solitaire, Bubble Hit, or Scrabble Sprint games. I've already converted those. For tips on how to use the new PLAY GAME button, please visit the How to Open the Games page. 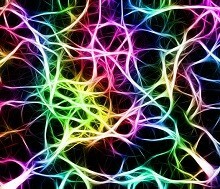 I've added the Riffmaster Guitar Game as the latest free brain game on Memory-Improvement-Tips.com. Play an electric guitar and train your concentration at the same time! Press the correct keys to match the notes being played in the guitar song. If you are accurate, you can unlock new guitars and more songs. You can even play this game together with a friend in the same room. Concentration games like Riffmaster train important brain skills including focus, concentration, and attention span. 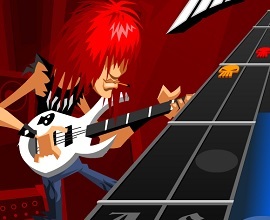 Continue reading "Guitar Game - Train Concentration Online Free"
This is a true story about life after brain hemorrhage and bacterial meningitis, submitted by a visitor named Mohan. Mohan was treated in hospital for bleeding on the brain. Unfortunately, while there he also contracted bacterial meningitis. During his recovery from the brain surgery and the infection, Mohan now finds his memory to have been adversely affected. Mohan wonders how long it will take for his memory to return to normal. He seems to have a fighting spirit and is thankful for those who are helping him through this trying time. I encourage you to read Mohan's full story. Click the link below to visit his story page. Feel free to add supportive comments and thoughts by posting in the Comments section at the bottom of his story. Continue reading "Memory Problems: Brain Hemorrhage and Meningitis"
I've added Bubble Tanks 2 as the latest free brain game on Memory-Improvement-Tips.com. Concentration games like Bubble Tanks 2 train important brain skills including focus, concentration, and attention span. 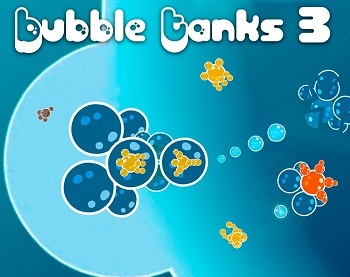 Continue reading "Bubble Tanks 2 - Free Online Concentration Game"
If you are 50 years or older with vision problems, you might want to see an eye doctor soon. Researchers have found that poor vision is a risk factor for cognitive decline, including Alzheimer's dementia. Many vision problems are correctable. So it's tragic when problems with seeing lead to memory problems, when it could have been prevented. 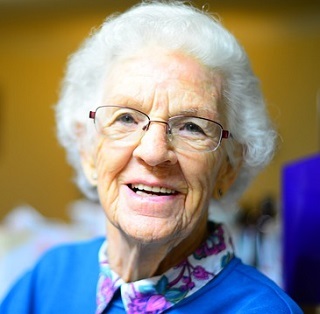 If you or an older relative have vision problems, check out my new article on this topic. Dementia isn't 100% preventable, but getting poor vision corrected is one sure way of lowering the odds of memory problems down the road. 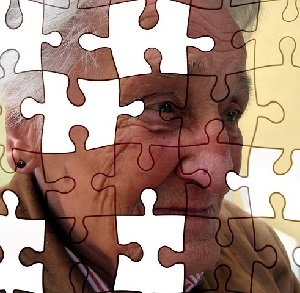 Continue reading "In Seniors, Poor Vision May Increase Dementia Risk"
I've added the 2048 Number Puzzle as the latest free brain game on Memory-Improvement-Tips.com. Combine like numbers in powers of 2 all the way up to 2048. This is the sliding numbers puzzle that took the world by storm in 2014 and is still popular today. 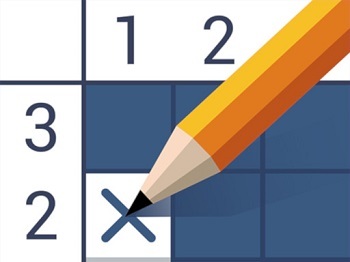 Use your arrow keys to slide the numbers on a 4x4 grid. This game can be quite challenging. If you're not efficient and make combos often, the grid fills up with numbers and it's game over. Math games like 2048 train important brain skills including logical reasoning, quantitative reasoning, and arithmetic. Continue reading "2048 Number Puzzle Game - Play Free Online"
I've added 3D Ball Drop as the latest free brain game on Memory-Improvement-Tips.com. Also known as Labyrinth, this physical puzzle game goes back to the 1940's in Sweden. By tilting the table, guide your ball around obstacles to the exit square. But don't fall through any holes, or the game is over! This ball drop game requires a steady hand and total focus. Puzzle games like 3D Ball Drop train important brain skills including concentration, visual perception, and reaction time. Continue reading "Ball Drop Game - Free Online Brain Game"
I've added Snail Bob as the latest free brain game on Memory-Improvement-Tips.com. Snail Bob's house has been destroyed by a construction crew! Help Bob find his way through the construction site to a lovely new snail home. This game includes 20 levels of visual logic puzzles. It's quite fun and challenging. 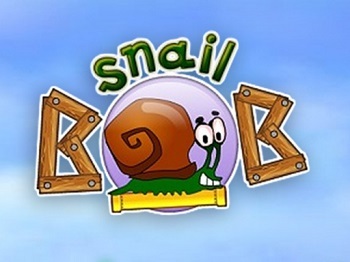 Puzzle games like Snail Bob train important brain skills including problem solving, thinking speed, and mental flexibility. Continue reading "Snail Bob - Free Visual Logic Puzzle"
I've added Candy Bubble as the latest free brain game on Memory-Improvement-Tips.com. Candy Bubble is yet another bubble-popping game, of which I already have several on my site. But this game is so fun and well-made I couldn't resist including it. 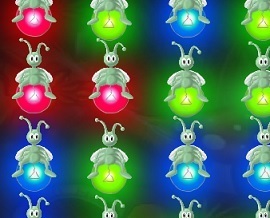 Pop bubbles at the top of the screen by forming groups of 3-of-a-kind or better based on color. Use your bubble launcher to aim and shoot bubbles one at a time to form these groups. Concentration games like Candy Bubble train important brain skills including attention and visual perception. Continue reading "Candy Bubble - Free Online Concentration Game"
I've added a Spades card game as the latest free brain game on Memory-Improvement-Tips.com. Spades is a classic popular trick-taking card game. 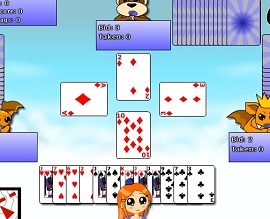 In this version, you play on a team with a computer partner against a pair of computer players. Make bids and take tricks to earn points. The first team to 500 points wins! Card games like Spades train important brain skills including attention, short-term memory, and mental flexibility. Continue reading "Spades Card Game - Play Free Online"
I've added Gem Invasion as the latest free brain game on Memory-Improvement-Tips.com. This game is like Bejeweled, but with a twist. 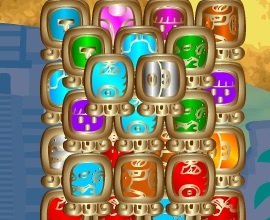 In addition to gems dropping from the top of the screen, columns of jewels invade the screen from the right side, too. Use special power-up gems for extra points that help you go up levels. This gem drop game is fun and addictive. I made it to Level 10 - see if you can beat that! Jewel-matching games like Gem Invasion train important brain skills including visual perception and pattern recognition. 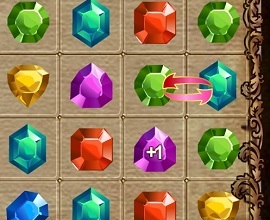 Continue reading "Gem Invasion - Free Online Jewel Matching Game"
I've added Bubble Spinner 2 as the latest free brain game on Memory-Improvement-Tips.com. 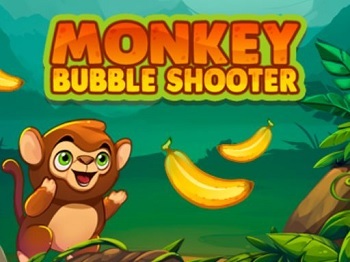 This is a fun variation on typical bubble-shooter games. 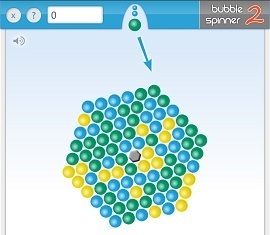 In this version, the bubbles rotate around a hub. That makes forming three-of-a-kinds harder than usual! Here's a pro tip. If the match you want to make is on the side or bottom of the spinner, try bouncing your bubble off the side and/or bottom of the screen. Concentration games like Bubble Spinner 2 train important brain skills including visual perception and concentration. Continue reading "Bubble Spinner 2 - Free Online Brain Game"
This is a true story about life after brain surgery, submitted by a visitor named Yolanda. Yolanda underwent brain surgery as a treatment for seizures. The seizures are better, but she experiences a number of side effects from the brain operation. 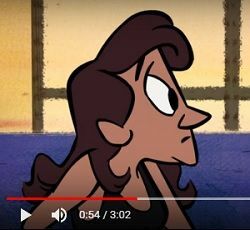 Rather than become bitter, Yolanda has chosen to adopt a positive attitude toward life. This allows her to function in the world to the best of her abilities and get as much as she can out of life. Yolanda truly is an inspiration to everyone. I encourage you to read her full story. Click the link below to visit her story page. Feel free to add supportive comments and thoughts by posting in the Comments section at the bottom of her story. Continue reading "Memory Problems: My Life Post Brain Surgery"
I've added an online Matches Puzzle as the latest free brain game on Memory-Improvement-Tips.com. In this game, 24 matchsticks are laid in a grid on the board. Your job is to remove matches to form the required number of squares. 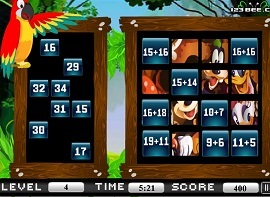 Each time you play this puzzle game, 12 matchstick challenges are presented. Rack your brain to find the solution to all of them! Puzzle games like this matchstick puzzle train important brain skills including visual perception and logical reasoning. Continue reading "Matches Puzzle - Free Online Brain Game"
Sure, you already knew walking is healthy. But it turns out that every step benefits your brain in a very direct fashion. New research has revealed the exact way that going on a brisk walk pumps up the brain and can improve brain health. As we age, it is important to maintain a healthy lifestyle to keep the brain functioning at its best, and to lower the chance of memory problems or dementia later. Regular exercise such as walking is a key component. Walking is good for your body and brain. 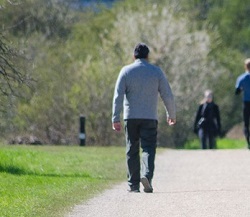 Consider adding regular walking to your daily routine. It could pay big benefits! Check out my new article on this topic by clicking the link below. Continue reading "Walking Directly Benefits the Brain"
Last Spy Solitaire has been added as the latest free online brain game on Memory-Improvement-Tips.com. This is an unusual card solitaire game. 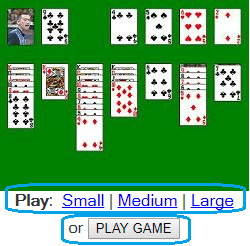 Not only does it have a World War II Soviet theme, the solitaire game play is different than regular solitaire. Cards are stacked upside-down in various shapes (such as a pyramid), with a few cards on top face-up. Your job is to match pairs of cards with the goal of removing all cards from the table. But for each level you only have 5 minutes to do so! That means you have to be focused and quick. 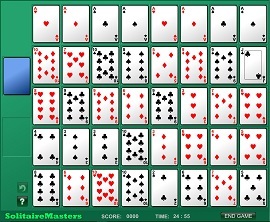 This card solitaire game has 20 free levels of solitaire for you to solve. Card games like Last Spy Solitaire train important brain skills including concentration and reaction time. Continue reading "Last Spy Card Solitaire - Free Online Brain Game"
UNO Lightning has been added as the latest free online brain game on Memory-Improvement-Tips.com. This is a speed cards game played with UNO cards against the computer. Match cards from your hand in up or down sequence with the four discard piles, as fast as you can, for points. 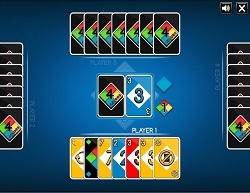 Card games like UNO Lightning train important brain skills including concentration and reaction time. 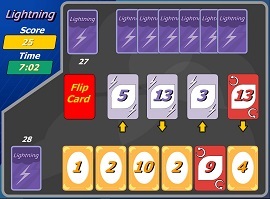 Continue reading "UNO Cards Lightning Game - Play Free Online"
Can't find good answers to life's tough problems? 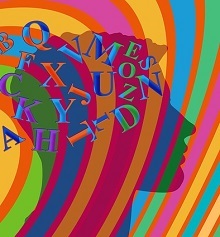 Tap into your deep mind's Creative Mode, and find the answers you seek. Learn to turn off your mind's normal "Focus" mode. This allows you to make new connections in your brain and discover creative answers to your life's toughest challenges. Your brain is more powerful than you know. This isn't mumbo-jumbo - it's backed by science. If it worked for Thomas Edison and for Eckhart Tolle, it can work for you! Continue reading "How to Solve Life's "Unsovlable" Problems"
Mayan Mahjong has been added as the latest free online brain game on Memory-Improvement-Tips.com. 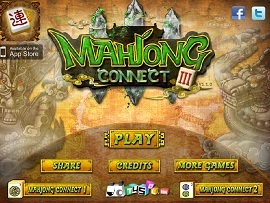 This colorful version of mahjong has Mayan symbols instead of Chinese characters. This game follows the same rules as standard tile mahjong. It includes multiple levels of tilesets for you to solve. It even has a Hint button with unlimited uses! Tile games like Mayan Mahjong train important brain skills including concentration and visual perception. Continue reading "Mayan Mahjong - Free Online Brain Game"
If you're having trouble running the free brain games in Google Chrome, please see my new Chrome Troubleshooting Checklist. Lately the developers of Chrome have changed the way that browser handles online flash games. This has blocked a few people from playing the games. If you're having trouble getting the games to run in Chrome, fortunately there are a few easy steps you can try to get playing again. See the new checklist which explains what to do. QUICK TIP: If you're having browser problems, the fastest way to get playing again is simply to switch to a different browser. For example, try opening the game page in Firefox or Internet Explorer. 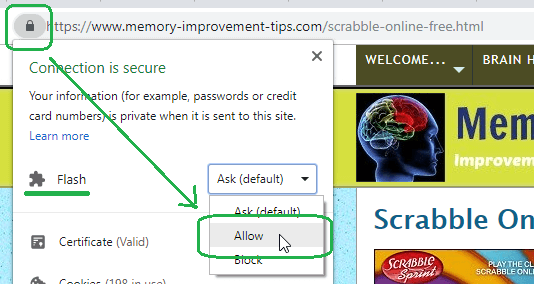 Continue reading "Google Chrome: Game Troubleshooting Checklist"
British Constitution Solitaire has been added as the latest free online brain game on Memory-Improvement-Tips.com. Like with patience solitaire, in this game you need to build up the foundation piles to win the game. But there's also a little story here. Your job is to promote the citizen cards from the bottom row, up to the privy council row, and up into the government (the foundation row). If you are a card solitaire fan looking for something a bit different, I think you'll enjoy this clever twist. Card games like British Constitution solitaire train important brain skills including concentration, memory, and logical reasoning skills. 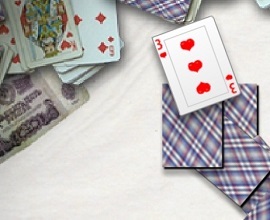 Continue reading "British Constitution Solitaire - Free Online Brain Game"
Mahjong Connect III has been added as the latest free online brain game on Memory-Improvement-Tips.com. This free online mahjong challenge is more of an adventure than most mahjong games. You're goal is to defeat an evil Fiend and restore freedom to the countryside. All while solving mahjong tile sets, of course! As you may know, the rules for mahjong are fairly simple. 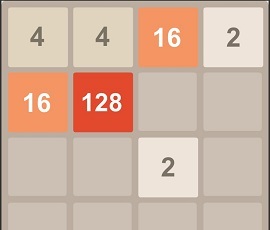 Click matching pairs of tiles to remove them from the board. But tiles that are blocked can't be moved. So you have to be sharp-eyed and remove the tiles in a workable order. 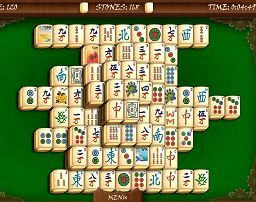 Continue reading "Mahjong Connect III Game - Play Free Online"
Some students often forget much of the information while taking an exam, even though they knew it when studying. Or did they ACTUALLY ever know it? In my latest article, Illusions of Competence, I explore the idea that many students fool themselves during study sessions into thinking they've learned the material - when they actually haven't. This is a terrible study trap to fall into, as you draw a blank during the exam and can't think of the answers. 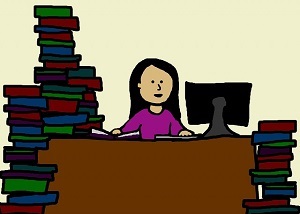 As a student, you can avoid the illusions of competence trap with some smart studying. Check out my powerful advice for "knowing that you know it" every time! 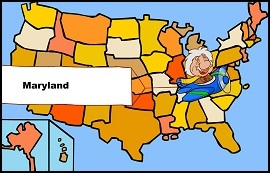 Continue reading "Study Tip: Avoid the Illusions of Competence Trap"
USA Geography Game has been added as the latest free online brain game on Memory-Improvement-Tips.com. Test your memory of the locations of the US states. You might want to study a US map before trying this quiz! See if you can click the correct state every time a state name appears. Try to get all 50 states right. Continue reading "US State Map Game - Play Free Online"
You're the King, but invaders are on the way. Set up your defenses to greatest effect and repel the enemy armies! This is a family-friendly castle defense game. It's not scary at all. In fact, the game reminds me a lot of the Angry Birds game. But there's a lot more strategy in this game. There's even a built-in upgrade system you can use to strengthen your defenses. 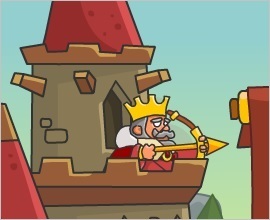 Continue reading "Castle Defense Strategy Game - Play Free Online"
This Is The Only Level has been added as the latest free online brain game on Memory-Improvement-Tips.com. Just one level, you say? YES, but... this one level has 30 stages of puzzles. The level itself doesn't change. But the rules DO change. I finished this game in 16 minutes and only died 134 times. See if you can beat that! Puzzle games like this one train brain skills such as problem solving, thinking speed, and mental flexibility. Continue reading "This Is The Only Level - Free Online Brain Game"
Do you or someone you know avoid schoolwork or projects until the last minute? Then check out my latest article, How to Beat Procrastination. 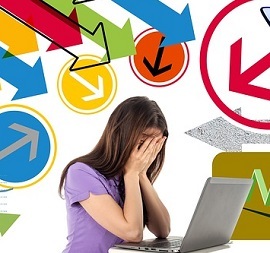 Thinking about all the work you need to do, whether at school or at your job, sometimes causes mental stress. This can lead to avoidance of the work, which of course just makes the situation worse. Try my tips for overcoming procrastination. If you are a student, you'll probably get better grades. And if you are in the workplace, you'll likely do better at your job. Don't miss this valuable free advice! Continue reading "How to Beat Procrastination in School or at Your Job"
Checkers 1v1 has been added as the latest free online brain game on Memory-Improvement-Tips.com. 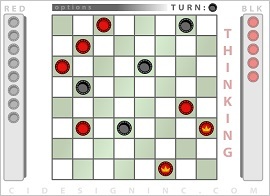 This is a neat online checkers game with great features. Play against the computer, or play against another person in the room! You can also control the level of difficulty (versus the computer), and set whether jumps must be taken or not. Board games like Checkers 1v1 train important brain skills including concentration, visual perception, and strategic thinking. Continue reading "Free Online Checkers 1v1 Game"
I've just added a really quick guide to how memory works. This guide is for anyone who is a little confused about how the brain handles memory. This new page isn't about memory techniques. Rather, I explain the difference between short-term memory, long-term memory, and working memory. Knowing this information will be helpful to you, as you take steps to improve your memory using the tips and techniques on my website. Don't be intimidated - it's a really quick read. I hope you find it helpful. Continue reading "Quick Guide to How Memory Works"
Free Online Tetris Game - Play Now! Tetris Classic has been added as the latest free online brain game on Memory-Improvement-Tips.com. Play the classic Tetris puzzle game online in your browser. Fit puzzle pieces together as they fall from the top of the screen. This game has 10 levels of Tetris fun. In fact, in this version of Tetris you can select the level you want to start on. Puzzle games like Tetris Classic train important brain skills including problem solving, thinking speed, and mental flexibility. 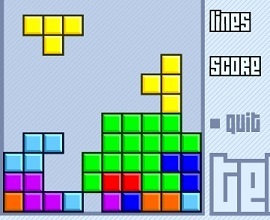 Continue reading "Free Online Tetris Game - Play Now!" Does the idea of giving a toast make you nervous? Are you worried you might forget what to say? Then memorize the toast in advance using memory techniques! This last Thanksgiving I knew I'd have to make a toast before the meal. 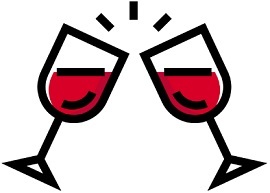 To make sure I had a great toast to give, and that I delivered it perfectly, I memorized it the day before. You can do this, too. Public speaking is my least favorite thing, but I managed to give a flawless toast in front of the group. Check out my latest article, How to Memorize a Toast for memorization tricks that can help you deliver an awesome toast at your next event. 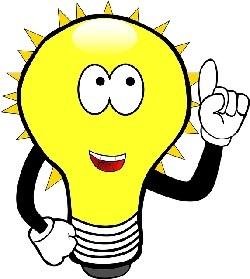 Continue reading "How to Memorize a Toast"
Math Mania has been added as the latest free online brain game on Memory-Improvement-Tips.com. Quickly calculate sums mentally for maximum points. This is a great game for anyone who wants to increase their skill at mental math. 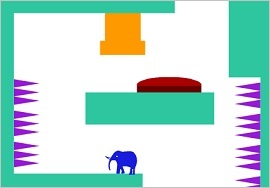 This game has just five levels, but each level is tougher than the previous. And every level is on a timer, so you have to be quick. Math games like Math Mania train important brain skills including logical reasoning, quantitative reasoning, and arithmetic. Continue reading "Math Mania - Free Online Mental Math Game"
Have trouble with math or reading comprehension? Can't seem to finish the projects you start? 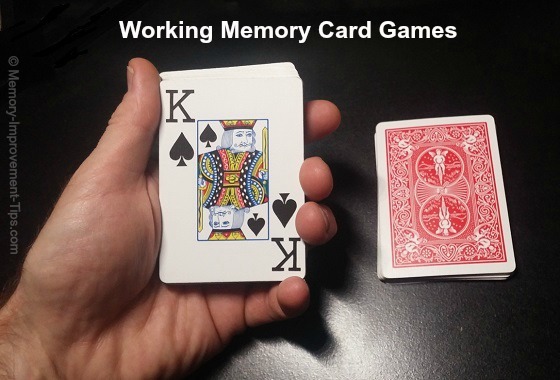 Try playing working memory card games. I've just added a page that explains how to play three solitaire card games that strengthen your working memory. These are offline games, so you don't need a computer to play them. Just keep a deck of regular playing cards or Blink cards handy. To strengthen your working memory, play games like "Number, Color, Suit" and "Plus One, Minus One" a few minutes each day. I learned of these games through the work of a cognitive training expert. You might benefit from playing them, especially if you (or your kids) struggle with tasks that rely heavily on working memory, such as reading, math, and project planning. 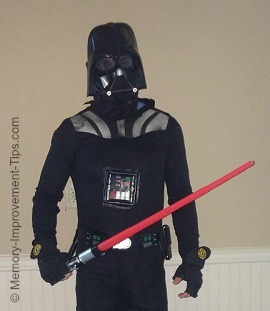 Continue reading "Play Working Memory Card Games to Boost Reading, Math Skills"
I doubled my enjoyment of Halloween this year by not only dressing up in costume, but memorizing the famous lines of my costumed character, Darth Vader. It was a blast! Take trick-or-treating or Halloween parties to the next level by memorizing your character's lines. As I explain in my latest article, memory techniques make this easy to do. Don't just look the part. Blow everyone away by quoting your characters actual lines. How much fun, and how unexpected, to say, "You have failed me for the last time, Admiral" rather than just looking the part. To learn how you can memorize quotes for Halloween (or any occasion), check out my latest article by clicking the link below. Continue reading "How I Memorized Darth Vader Quotes for Halloween"
Picross Nonograms has been added as the latest free online brain game on Memory-Improvement-Tips.com. This free game includes an amazing 100 free nonograms you can solve in your browser. Nonograms are puzzles that contain a hidden image. You reveal the image using numbers on the side of the puzzle as clues. If you've never tried solving a nonogram, this is your chance. There is a range of difficulty you can choose in this game, from Easy to Expert. The easy ones don't take long at all. And if you're a nonogram expert, go straight for the hard ones! Math games like Picross Nonograms train important brain skills including logical reasoning, quantitative reasoning, and arithmetic. Continue reading "Picross Nonograms - Free Online Brain Game"
The All Or None card game is a challenging brain game. Play free now on Memory-Improvement-Tips.com! Each card on the board shows a different shape. Match 3-of-a-kind cards by their properties including color, shape, fill, and number. For each property, all three cards you select need to either match that property OR not match each other with that property. It sounds easy, but it's not. This game is really difficult. But don't give up too easily. Play it often to give your brain a boost. Card games like All Or None train important brain skills including concentration, logical reasoning, and visual perception. Continue reading "All Or None Cards - Free Online Brain Game"
The very fun Lightning Bugs Connect is the latest free brain game on Memory-Improvement-Tips.com. Clear the screen of lightning bugs by forming groups of colored bugs. Advance through levels and get a high score! There's strategy in this game, because you need to plan your moves to avoid too many lone bugs at the end. Puzzle games like Lightning Bugs Connect train important brain skills including problem solving, thinking speed, and mental flexibility. Continue reading "Lightning Bugs Connect - Free Online Brain Game"
Crazy Quilt Solitaire is the latest free online brain game added to Memory-Improvement-Tips.com. Give it a try, and let me know what you think. 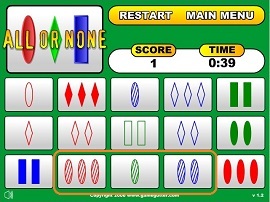 In this solitaire game, the cards are laid out in a cross-hatched quilt pattern. It's different, for sure. Because the cards are interlocked, you'll need to start around the edges. Move all the cards to the 8 foundation piles if you can. Card solitaire games like Crazy Quilt Solitaire train important brain skills including memory, visual perception, and logical reasoning. 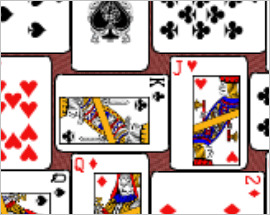 Continue reading "Crazy Quilt Solitaire - Free Online Brain Game"